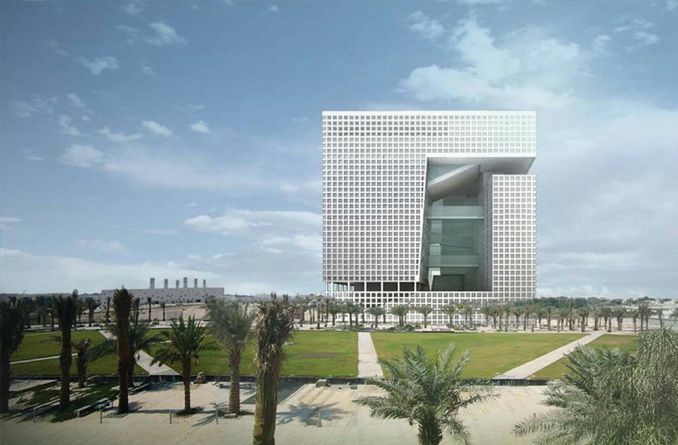 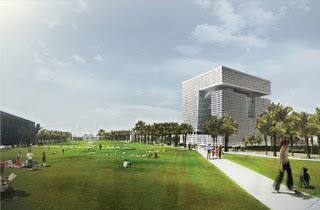 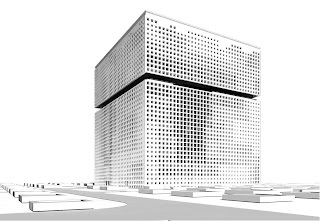 Qatar Foundation Headquarter, commissioned by Qatar Foundation and designed by Office of Metropolitan Architecture is conceived as a generic ‘cube’ standing approximately 57 meter’s tall and accommodates interior space for 29,000m2 of offices in three main volumes: the Executive Tower, the Staff Tower, and Her Highness’s wing. 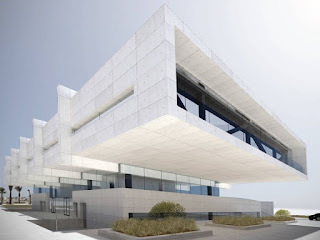 The interior spaces are enclosed in a white concrete precast facade, perforated by numerous windows recessed within the facade. 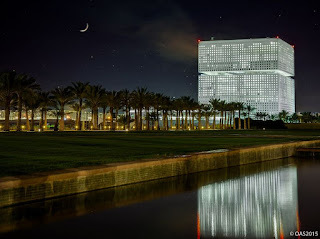 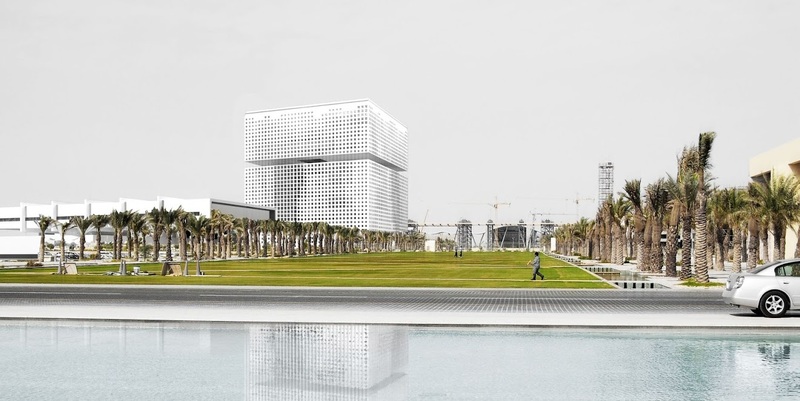 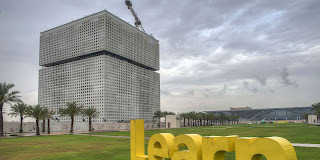 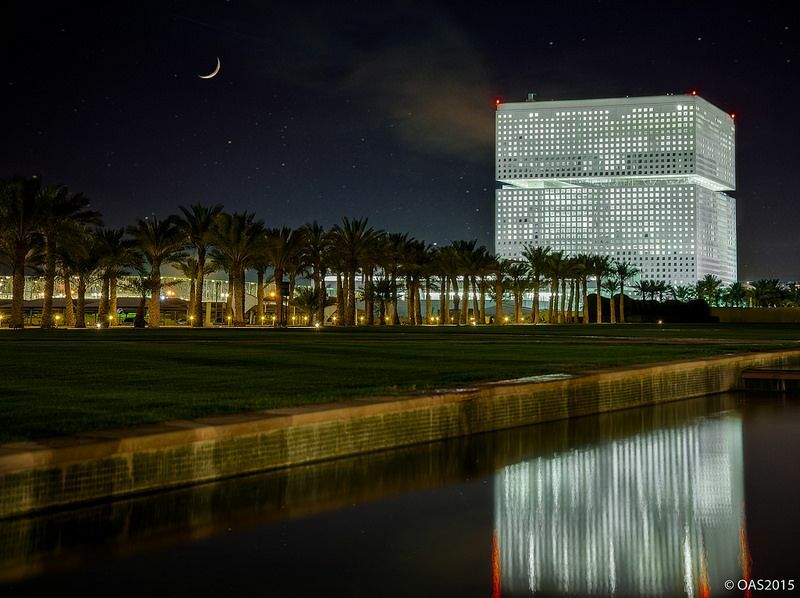 The perforations are part of an overall architectural language employed by OMA throughout the building and form a stylized and pixelated Sidra tree – the Qatar Foundation Logo. 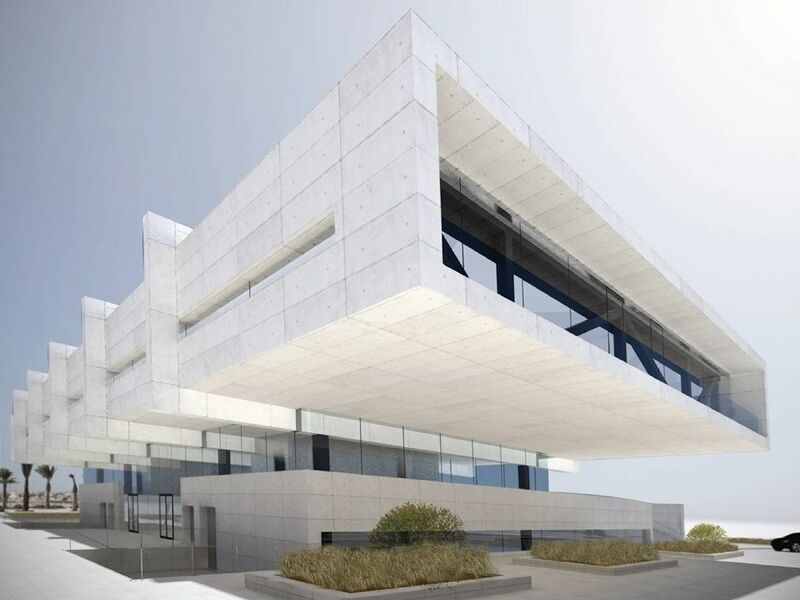 The main volumes enclosed by the building envelope are composed around a central atrium protected from the sun by a perforated precast concrete roof . 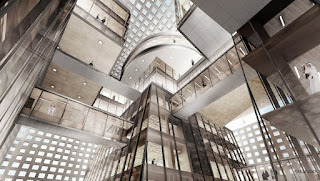 The circulation between volumes is done via a system of glass cladded sky bridges. 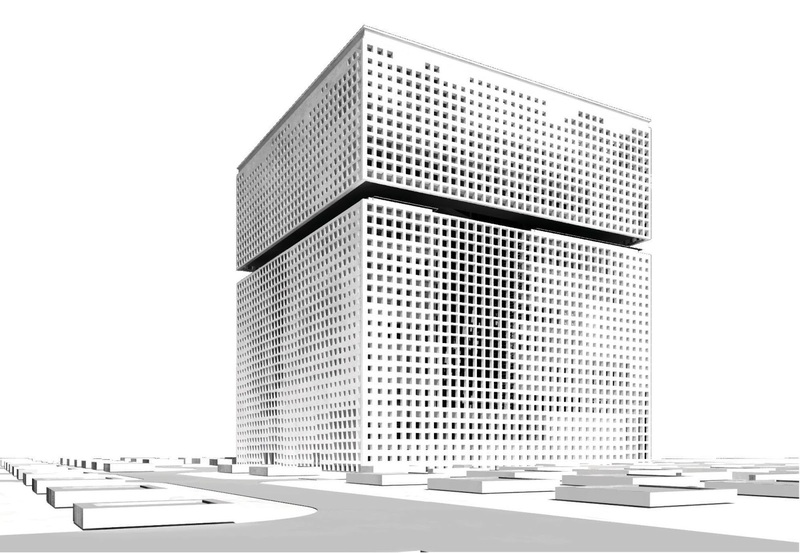 The internal volumes are separated by two directional lines with the main line pointing to Makkah. 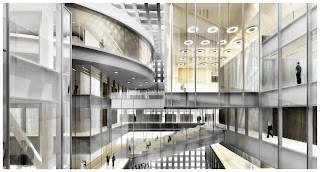 The building has office space for 500 people, with meeting rooms, auditorium, lecture facilities, prayer rooms and SPA. The complex also includes a 3-storey & basement building, SSC, adjacent to the QFHQ that will be utilized by RAND stakeholders and provides office space and facilities.